It snowed last week. By the end of September, the mountains had white tops and green bottoms, and you could see the seasons changing somewhere in the middle. 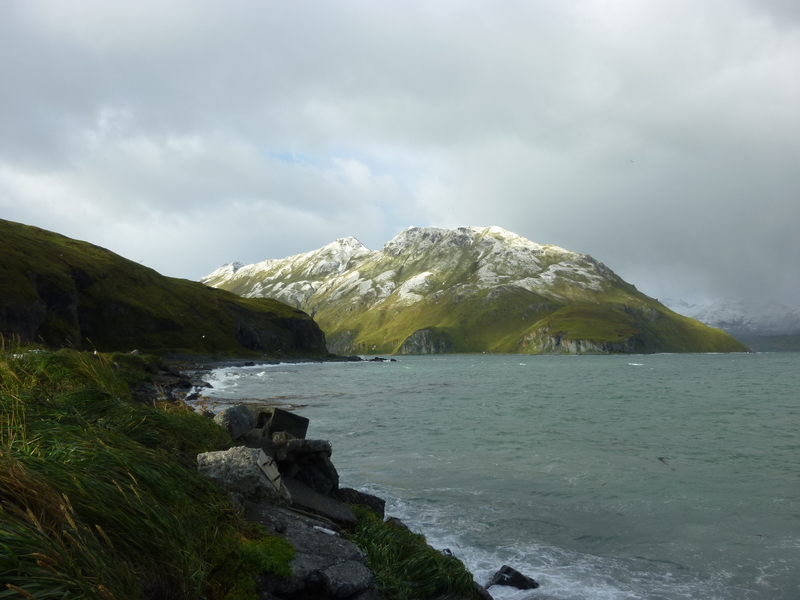 The snow first fell on the other side of the island and picked up while I was working. Outside my window, there was only a combination of rain and hail, the latter of which appeared to be settling nicely on my car windshield. Just before noon, the station’s general manager showed up in my office hollering something about “termination dust.” Honestly, I had no clue what she was talking about. I experienced the same feeling when someone first started going on about “opies,” or “seiners,” or “salmonberries,” or any of the other terms that I had never heard or said before — which are all now part of my daily vocabulary. It wasn’t until I took my lunch break and saw Pyramid Peak looking like a lumpy beignet, half-drowned in confectioner’s sugar, that I understood what she meant. It was time to gear up for winter. At any rate, I probably won’t use the term “termination dust” much after this month. * It’s just meant to describe the first snowfall in Alaska, that singular moment when summer has officially migrated south to Chile and Botswana. Every other snowfall is just simply snow from here on out.